The legendary French chanteuse, known affectionately as The Little Sparrow, won the hearts of generations of French people. Those not familiar with her work may have heard her most famous song, La Vie en Rose in the Lotto ad as the NZ digger returns to France to find his long lost loves. While the songs are performed in French, language is no barrier to the audience’s enjoyment. “Often the delivery and passion of the songs are self-explanatory, but I also offer the audience a few keys to unlock the mysteries of the songs”. These are based mostly on information about Piaf’s often tragic life. Songs were frequently composed especially for her during her prolific career, which spanned from the late 1930’s to her final song recorded in 1963. Piaf died of liver cancer that same year. 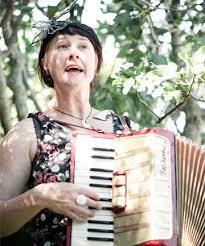 Rebekah Greig who joins France is an accordionist extraordinaire. 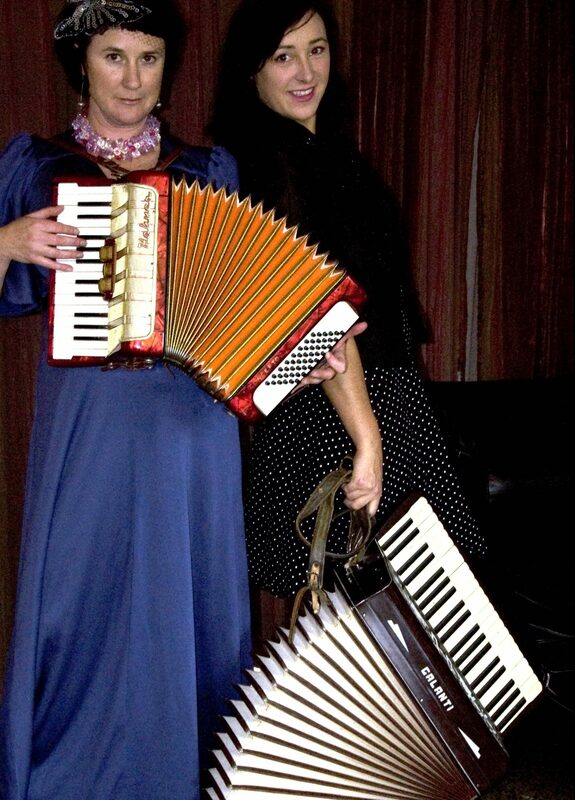 She fell in love with the sound of the accordion at the age of three and has never looked back. This year she has toured New Zealand with gypsy band Niko, and recently returned from the Rotorua Festival of the Arts with KlezmerCafé. Playing with Sans Souci gives her a much needed outlet for her Francophile tendencies.